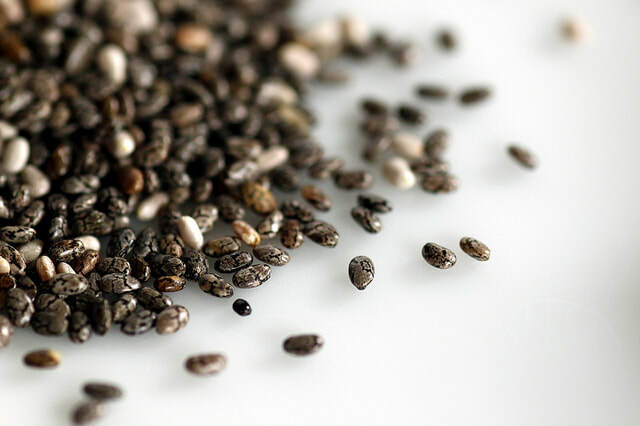 How to Make Your Own: Take chia seeds, place in high output blender, food processor, or coffee grinder and grind until fine. Fill an ice cube tray with almond milk. Freeze until solid. You can use leftovers in smoothies or for more pudding in the future! Blend on the highest speed until super smooth. Enjoy immediately or chill in the fridge where it will thicken up even more. Add the cocoa powder to taste. Some brands will be more pungent than others. 3.5 tablespoons of cocoa powder is great with my brand (camino) however you may need to use less depending on what kind you use. My advice is to add the cocoa powder slowly to taste. You will want around 12 tablespoons of almond milk ice cubes added to the pudding. For my tray, this equaled 4 large cubes. You can skip the almond milk ice cubes and simply add a splash more almond milk. Chill in the fridge the old-fashioned way. If your dates are firm, I suggest soaking them in hot water for at least 30 minutes before you begin. Drain well. To turn this into a chocolate "frosty" add more ice cubes to make it super icy. To make this nut-free, use a nut-free non-dairy milk of your choice.